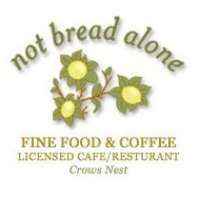 Not Bread Alone is the best Cafe & Restaurant in Crows Nest offering fresh juices, salads, burgers, and more. Don't hesitate to call or visit Not Bread Alone Cafe & Restaurant in Crows Nest today! 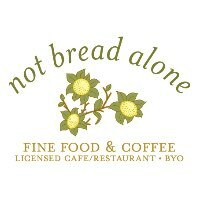 Not Bread Alone is a great Cafe & Restaurant in Crows Nest, Sydney. Established in 2000, we offer fine and delicious Australian cuisine. Here, you can have your eggs any way you like from 7 am – 3 pm. Breakfast blends into lunch where we offer fresh juices, salads, burgers or heartier meals like our mouth-watering, slowly cooked lamb shanks. All our menu items have been created using only the freshest ingredients. Not Bread Alone also offers the best catering in Crows Nest. At Not Bread Alone, we roast our own coffee in-house and all our homemade desserts, cakes and ‘sweet things’ are all made with ‘love’ so there’s no feeling guilty because they’re good for you! If you are looking for the best Cafe & Restaurant in Crows Nest, don't hesitate to call or visit Not Bread Alone Cafe & Restaurant in Crows Nest today! Don't Forget we also do catering in Crows Nest and have a beautiful lunch menu! We are a premier cafe in Crows Nest, Sydney, established in 2000, we offer fine and delicious Australian cuisine starting from breakfast to lunch such as fresh juices, salads, burgers or heartier meals like our mouth-watering, slow-cooked lamb shanks. The Local Business Awards acknowledge outstanding local businesses and their people who go above and beyond - providing an exceptional customer service experience.